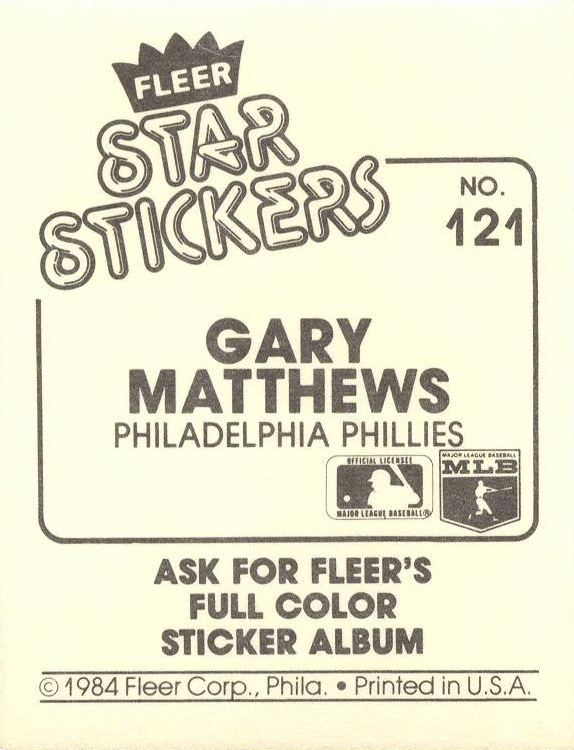 Additional Information: Like the Topps Sticker sets from the same time period, these stickers were meant for inclusion in a sticker album. Rather than group the majority of the stickers together by team, as Topps did, Fleer chose to group stickers based on league leaders within various statistical categories. 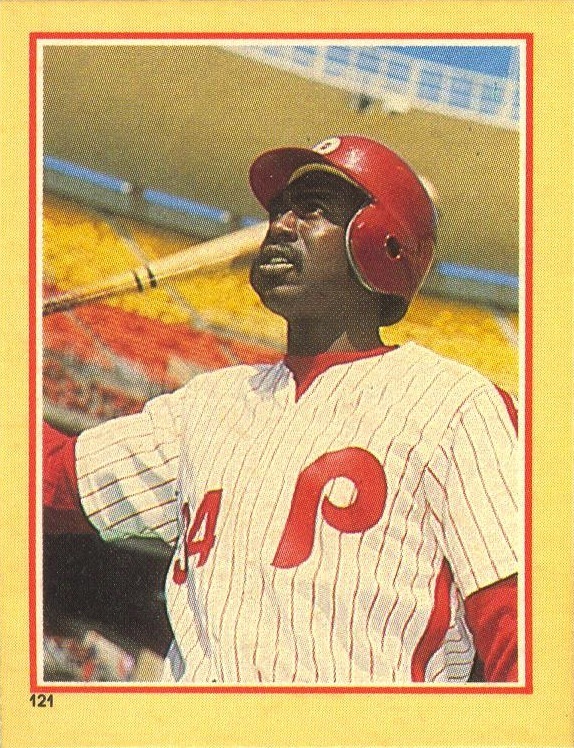 The bulk of the Phillies fall into the “World Series Batting” section of the sticker book. The Beckett online guide simply refers to the set as “1984 Fleer Stickers.” The SCD designation for the set is used here.